Kanger Tech has made some huge advancements with their box vape mod Kbox series, and the Kbox 200W TC is no exception! Keeping a relatively smaller structure than most 200 watt box vape mods, the Kbox200 holds two 18650 batteries giving you plenty of vape time. It goes up to 200 watts and is also temperature controlled making it a double threat. The Kbox 200 in temperature control will fire atomizers that go as low as 0.05 ohms and 0.10 ohms in wattage mode. The Kbox 200w box mod is 510 threaded so you can pair it with some of your favorite ego/510 RDA and RTAs. 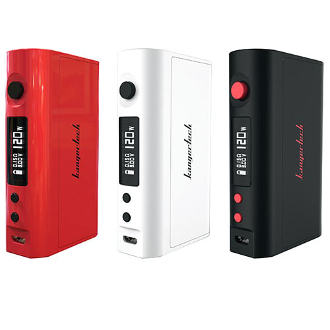 So join the Kanger train and head straight to the clouds with the amazing Kbox 200 watt TC!